He mentioned that “Christians are being targeted by the front organisations of the RSS in order to terrorise and ghetto-ise all minorities” and that Hindutva justice meant “minorities can best look forward to liberation through mercy killing.” Who was the author of this piece? The answer (much to the surprise of many Hindutva maniacs) is Dr Subramanian Swamy! Hindutva heart-throb, 2G scam whistle-blower and modern India’s biggest conspiracy theorist Dr Subramanian Swamy has a political history worth reading. Not only did Dr Swamy oppose the Emergency imposed in 1975 by Indira Gandhi-led Congress party, he was also responsible for bringing down Atal Bihari Vajpayee’s Bharatiya Janata Party government in 1999. As is visible from the extracts of the article Dr Swamy wrote several years back for Frontline magazine, he did not have much admiration for the kind of politics which was being played by the Sangh Parivar. In fact it appears that Dr Swamy detested Hindutva’s hate politics. But things have changed now. 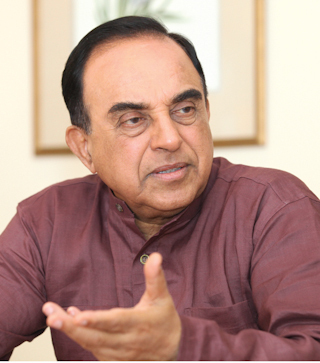 After having spent many years in a state of political oblivion, Dr Swamy returned to the fore of Indian politics by blowing the lid off the 2G spectrum scam and advocating an extreme form of Hindutva. In the lead up to the 2014 General Elections, Dr Swamy officially merged his Janata Party with the BJP and formally became part of the Sangh Parivar. This is nothing but a clear case of political opportunism. A person who vociferously criticised Hindutva politics in the past now happens to be one of its biggest advocates. News reports have suggested that Dr Subramanian Swamy has been offered the position of vice-chancellor of Jawaharlal Nehru University by the Union HRD ministry. People supporting his candidature might claim that he is a suitable candidate for the job as he possesses a PhD from the prestigious Harvard University and also attended the Hindu College at the Delhi University and Indian Statistical Institute in Kolkata while pursuing graduation and post graduation, respectively. As far as his administrative accomplishments are concerned, Swamy is a five-time member of Parliament and has served as the Union law minister. He surely isn’t like Gajendra Chauhan who has been accused of being under qualified for the chairmanship of Film & Television Institute of India in Pune. Dr Swamy is a well-educated individual having substantial administrative experience but he certainly isn’t the right man to lead a university like JNU. No university in this country can afford to have a hatemonger as its vice-chancellor who is best known for spewing venom and stoking rumours. Let us not forget that Dr Subramanian Swamy was expelled from Harvard University on account of his extremist views which became public following the publication of a bizarre article. Shortly after a terrorist attack in Mumbai on July 13, 2011, Dr Swamy wrote an article in DNA newspaper titled “How to wipe out Islamic terror” (July 16, 2011). This article became the reason behind the booting out of Dr Swamy from Harvard. Dr Swamy who had earlier lambasted the RSS for aspiring to turn India into a Hindu Rashtra wrote, “Declare India a Hindu Rashtra in which non-Hindus can vote only if they proudly acknowledge that their ancestors were Hindus. Rename India Hindustan as a nation of Hindus and those whose ancestors were Hindus.” Does such a man deserve to be the vice-chancellor of a central university? In fact does he even deserve to be in public life? The founding fathers of the Indian Constitution rejected the notion of a Hindu Rashtra and established India as a secular state. They granted every Indian citizen universal adult suffrage. That’s the kind of India that Dr Swamy envisions. Dreadful, isn’t it? A person who does not acknowledge India’s secular character and vouches for the creation of a Hindu Rashtra wherein Hindus and non-Hindus will not be equal citizens should never have been considered for any high office leave alone the office of the vice-chancellor of Jawaharlal Nehru University. There can be no defence for Dr Swamy’s irrational antics. Even Union HRD minister Smriti Irani cannot come out to justify Dr Swamy’s conception of India which is fascist, racist and discriminatory. Nor can she standby even one of Dr Swamy’s ridiculous conspiracy theories pertaining to the murder of Sanjay, Indira or Rajiv Gandhi. But then she might just do it as one does not expect much from an education, minister who stands accused of having lied about her own educational qualification. The FTII row has failed to teach Modi sarkar a lesson. If there is even an iota of truth concerning Dr Swamy’s appointment as JNU VC then the BJP government should get prepared for a vicious backlash from academics and students who will not allow the communalisation of the country’s universities at the hands of individuals like Dr Swamy. The contrarian approach of the saffron parties towards the meat ban in Maharashtra during the Jain fasting period of Paryushan reveals that the Sangh Parivar is a divided lot instead of being one united family. Before addressing the issue of disunity among the BJP, Shiv Sena and Maharashtra Navnirman Sena, let us make one thing aptly clear: the ban on meat is utterly foolish. Right-wingers are trying to justify it by suggesting that the ban has been in place since a long time; to be precise, since 1964. But merely because a retrograde practice has been carrying on since decades, does it mean that it should be tolerated? Racism, no matter how minute it might be, is a threat and so is food fascism. It cannot be tolerated even if it is for a short period of time. The ban may have gone unnoticed during the 1960s when India was a relatively nascent nation but India of the 21st century is sensible and mature enough to realise that the state does not need to police an individual’s diet in order to ensure that the religious sensibilities of a micro-minority are not offended. Both meat eaters and non-meat eaters have a right to choose what they wish to eat. Let them make the choice instead of the state telling them. Second, for heaven’s sake do not indulge in the politics of convenience by invoking the name of Akbar. This sudden admiration of the Hindu right for Akbar is most hypocritical. The Twitter trolls who label every Muslim emperor to have ruled India as a communal bigot are now citing the ban which Akbar had put on meat eating during Paryushan to justify what the BJP has done in Mumbai. It is not incumbent upon the government of India or government of Maharashtra to employ the same techniques which were utilised by a monarch centuries ago to cultivate religious harmony. Akbar tried to create a new religion called Din-e-Illahi for the sake of creating religious integration. Will the BJP-Shiv Sena government also attempt to create a new hybrid religion to resolve religious differences? The simple answer is that they won’t. Coming back to Maharashtra politics, not long ago, Prime Minister Narendra Modi’s BJP managed to take over the leadership of the saffron brigade in Maharashtra from the Shiv Sena by emerging as the single largest party during the Assembly elections held in 2014. While the BJP bagged 122 seats, Shiv Sena came in second with 63 seats. Raj Thackeray’s Maharashtra Navnirman Sena (MNS) turned out to be irrelevant as it won only one seat, lesser than debutant All India Majlis-e-Ittehad-ul Muslimeen (AIMIM) which won two seats. The results were a matter of deep humiliation for Bal Thackeray’s political heirs – Uddhav and Raj. Following the death of the Shiv Sena supremo Bal Thackeray, both Uddhav and Raj had tried to replace him as the new leader of the “Marathi manoos”. But both failed the popularity contest as Modi conquered Maharashtra convincingly. In February 2017, the Brihanmumbai Municipal Corporation (BMC), the richest municipal body in the world, will go to polls. The BMC has traditionally been controlled by the Shiv Sena but considering the political overtures made by the BJP in the past, it is very much possible that the Modi-Amit Shah combine will intend to dethrone Shiv Sena from the BMC as well. Therefore, it is natural for the Shiv Sena to oppose the BJP at this stage. The same goes for the MNS. The central force in Maharashtra politics is no longer the Congress or Shiv Sena, it’s the BJP. That’s precisely why the Shiv Sena and MNS have harped on the opportunity to oppose the meat ban. The decision of imposing the ban was taken by the BJP. The Shiv Sena and MNS, by going all out in their opposition to the meat ban, are aligning themselves away from the BJP and trying to encash the anti-BJP sentiment which has emerged owing to this senseless decision. The Shiv Sena and MNS intend to enhance their popularity in the urban areas by speaking out against the meat ban which they hope will provide them electoral dividends in the BMC polls. Another significant reason the Shiv Sena and MNS have decided to take such a political risk is primarily because of the involvement of the Jain community instead of Hindus in the current controversy. The Jains happen to be a micro-minority with less than limited electoral impact. The approach of the Shiv Sena and MNS would have been different had the meat ban been imposed in relation to a Hindu festival. Jains, though considered by many as a subsect of Hindus, are not Hindus at the end of the day. That’s why the MNS had the courage to roast chicken outside a hall where Jains had gathered in Thane. They would have never done so had it been Hindus instead of Jains. Though the meat ban is a thing to be abhorred, what needs to be equally abhorred are such shameless ways of protest which exemplify a naked majoritarian mindset, bent on harassing minorities by indulging in the most insensitive acts. Consuming meat during Paryushan is a matter of choice but willingly roasting chicken outside a hall full of Jains is an act of mischief. The MNS would have certainly wanted the Jains to take objection to their crude way of protest. Thankfully, the Jains ignored the agitating political workers and did not provide them with a chance to indulge in a physical brawl. Raj Thackeray’s political ambition of turning this controversy into a “Jain vs Hindu” slugfest should never materialise. This is a question of personal liberty and it should remain that way. Political parties cannot be allowed to further communalise this issue. Uddhav Thackeray has said, “Let us bring the curtains down on the controversy over the meat ban”, but his party’s original stand against the meat ban has made two things clear: not all is fine as far as the BJP-Shiv Sena coalition is concerned. Second, after targeting Muslims, south Indians and north Indians, Jains might be the next set of people to be attacked in Maharshtra by the Shiv Sena on the presumptuous notion of “rich Jains taking away the place of the Maratha people”. Meat ban in Mumbai for eight days: Does India want to be a Saudi Arabia? Saudi Arabia has set many shameful records as far as violation of human rights are concerned but the above mentioned statement of the interior ministry was particularly ridiculous. What has a non-Muslim got to do with Ramzan? Just like a non-Muslim should recognise the right of a Muslim to fast during Ramzan from dawn to dusk without consuming even a drop of water, the government of Saudi Arabia should have also recognised the right of non-Muslims to carry on with their routine lives in the month of Ramzan. Non Muslims cannot be made to go hungry or thirsty during a month considered as holy by Muslims. Why should a Muslim get offended if he sees a non-Muslim consume food at a public place? The non-Muslim is obviously not thrusting anything inside the Muslim’s mouth to break his fast. Therefore, it was preposterous of the Saudi Arabian government to suggest that the religious feelings of Saudi’s Muslims will be hurt if they come across a non-fasting non-Muslim. Saudi Arabian authorities should have acted with some wisdom and refrained from bullying non-Muslim expatriates in this manner. But sanity is something one shouldn’t expect from the Saudis as they don’t recognise the religious rights of non-Muslims and prevent them from doing something as basic as building their places of worship. Let’s now move from so-called Islamic state of KSA in west Asia towards east Asia wherein the People’s Republic of China (PRC) is situated. China happens to be ruled by an atheistic, communist regime. In June 2015, Chinese authorities banned civil servant, students and teachers from fasting during Ramzan in the Muslim majority province of Xinjiang. This decision of the Chinese government was as mindless as the one taken by Kingdom of Saudi Arabia. The state of China has a particular ideology which does not consider religion as something of very high value but that doesn’t mean that people with certain religious beliefs would be victimised and students prevented from going to mosques and attending religious activities. By fasting during Ramzan the community of Uighur Muslims would not have indulged in any secessionist activity. In fact by bulldozing their religious freedom, the Chinese officials ended up marginalising those people who held theistic beliefs. Unfortunately, our country India is also moving in the direction of KSA and PRC. 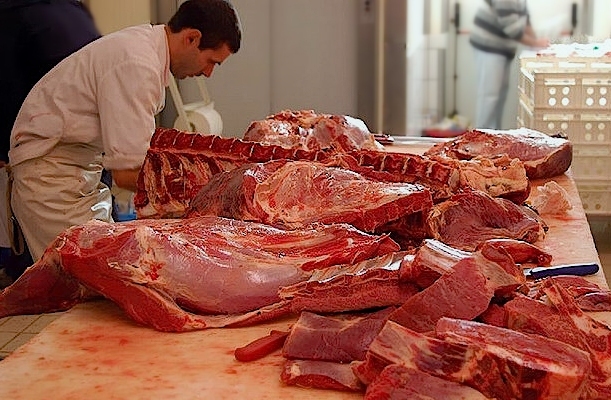 The decision of the BJP-led Mira Bhayander Municipal Corporation (MBMC) in Mumbai to ban the slaughter and sale of meat during the Jain fasting period of Paryushan goes against the spirit of religious pluralism. 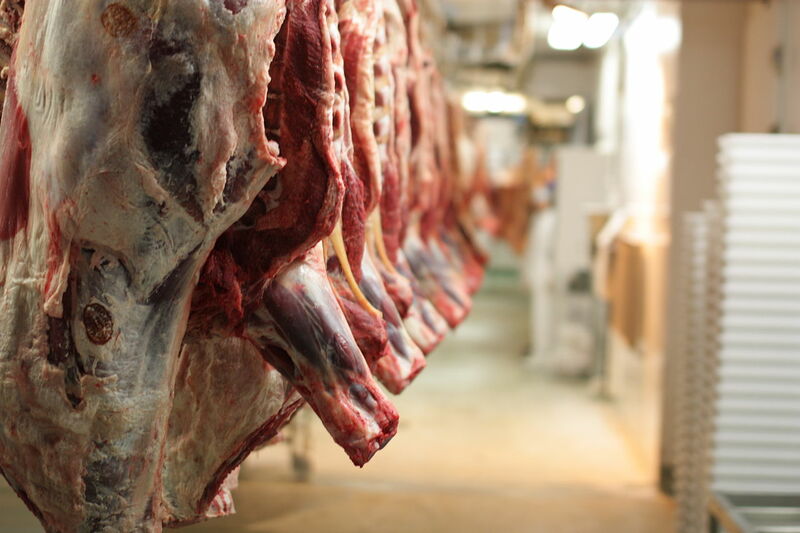 Some might argue that the ban which is set to expire on September 27 is only for a short period and that non-vegetarians can easily refrain consuming meat during this timeframe. But the question which should be asked is: How are non-vegetarians offending Jains by consuming non-vegetarian food during Paryushan? They are not forcing Jains to consume meat alongside them. We need to realise that to respect each other’s beliefs we don’t need to start following or observing each other’s religious traditions and practices. An atheist does not have to attend a religious procession to make the world believe in the fact that he stands by religious freedom. He or she can choose to stay at home and yet recognise the right of theists to participate in a religious ritual. Similar attitude has to be maintained as far as the relationship between different religious communities is concerned. If someone does not consume beef or pork because of religious sensitivities then he/she should surely abstain from it but he/she cannot make others abstain from consuming such food items on the account of his/her religious beliefs. If there is any sort of compulsion pertaining to food consumption then it definitely amounts to food fascism. The government has no right to tell the people what they are supposed to eat and when or where they are allowed to eat. The sooner countries like Saudi Arabia, China and India realise it; the better it would be for religious plurality and freedom. The state cannot police any person’s diet merely to further its own political designs or to protect a certain group’s religious feelings. Toleration and respect towards a religious community’s traditions is essential but replication of their rituals is not. As part of my MA Convergent Journalism course work at Jamia Millia Islamia’s AJK Mass Communication Research Centre, I paid a visit to Delhi University’s North Campus on September 3 with the purpose of doing a video story on the upcoming Delhi University Student Union (DUSU) elections. A triumph in DUSU elections can turn out to be a life changing experience for young students interested in taking the political plunge. Several DUSU presidents have used the opportunity to launch their political careers, including BJP’s Nupur Sharma who contested against Delhi chief minister Arvind Kejriwal in the Assembly elections held earlier this year. Aam Aadmi Party (AAP)’s MLA Alka Lamba, who was formerly associated with the Congress, has also been a DUSU president. But the most prominent name in the list is that of Union finance, corporate Affairs & information & broadcasting Minister Arun Jaitley, who served as DUSU president prior to the Emergency. Traditionally, DUSU elections have been dominated by the Congress’ National Students Union of India (NSUI) and Rashtriya Swayamsevak Sangh’s (RSS) Akhil Bharatiya Vidyarthi Parishad (ABVP). But the entry of debutante Chhatra Yuva Sangharsh Samiti (CYSS), the student wing of AAP, has transformed it into a triangular contest. Unfortunately, all the three student parties, that is, CYSS, ABVP and NSUI are united in one thing – the violation of the poll code as laid out by the Lyngdoh Committee guidelines, which carry the sanction of the Supreme Court. Among its many recommendations, the Lyngdoh Committee suggested that election expenditure cannot exceed Rs 5,000 per candidate. It also stated that students would not be allowed to make use of any printed posters or pamphlets and would have to resort only to handmade posters and pamphlets while canvassing for votes. However, a visit to the university campus made me a firsthand witness to the blatant violations of the binding Lyngdoh Committee guidelines by different political parties. Right outside the Vishwavidyalaya metro station at North Campus was a huge billboard advertisement of the CYSS, which displayed the findings of a survey predicting their victory in the DUSU elections slated for September 11. A few metres away, I saw yet another billboard – this one belonged to the NSUI. This advertisement also listed the findings of an election survey and claimed that the NSUI would win hands down. Such surveys have become a point of controversy since the veracity of the research agencies that conducted them is not fully known. The sample size is also not established. But the worst thing is the fact that the advertisement costs run into thousands of rupees and are printed digitally. They clearly violate Lyngdoh Committee guidelines and yet they find space inside the university campus. When I met Hitanshi Chauhan, a student leader belonging to CYSS and asked her about the printed advertisements as also who was funding them, she told me that these things were taken care of by Arvind Kejriwal and that she would like to “thank him” for whatever he is doing for them. Isn’t it unfortunate that a sitting chief minister is blatantly violating the code of conduct of the student union elections? Student leaders like Hitanshi Chauhan, who should categorically distance themselves from such unethical election conduct, do not condemn such violations. They would rather choose to convey their regards to their party supremo. Considering the fact that ABVP swept the last elections by winning all the four posts – president, vice-president, secretary and joint secretary – I thought that it was necessary to have a word with their leaders and proceeded to their office, which is walking distance from Patel Chest Institute. I did not get a chance to interact with their leaders as they were busy campaigning, but realised that ABVP is no different when it comes to following the Lyngdoh Committee guidelines. Sunil Kumar, a shopkeeper outside Ramjas College, showed me how ABVP and other student wings had stuck posters and stickers all over his shop without seeking permission. He pointed out that this kind of publicity material is either stuck early on in the morning or late at night, much before his arrival and after his departure. What kind of student elections are these? Poll code violations are bipartisan and rampant in the case of DUSU elections, with student parties defiling property clandestinely. No one is spending as much on advertisements as AAP’s CYSS. Every corner of the university I went to had an advertisement with CYSS’ name and Arvind Kejriwal’s photograph. The upcoming DUSU elections are being treated as a prestige battle by Kejriwal. He is not content with his dramatic victory in the Assembly elections, wherein he won 67 out of the 70 seats. He probably wants to win every election inside Delhi – be it the much politicised student union elections of Delhi University or the municipal body elections. Winning DUSU elections is important for Kejriwal. He hasn’t delivered much after becoming the chief minister. His government has been embroiled in an ugly faceoff with Lieutenant-Governor Najeeb Jung and blamed the central government led by Narendra Modi for everything that has gone wrong. 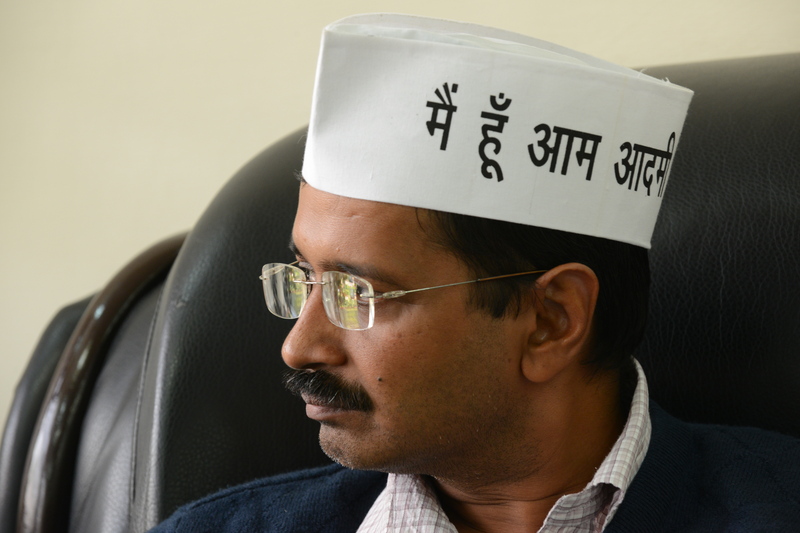 Internally, the party has shown signs of disarray with the ouster of Prashant Bhushan and Yogendra Yadav. AAP’s supposedly clean image also suffered a setback due to the fake degree row surrounding former state law minister Jitender Singh. Kejriwal realises that such incidents have hit his popularity. That’s the reason why he has thrown money behind CYSS to ensure its victory. A win in DUSU elections for CYSS would lead to the pundits predicting Arvind Kejriwal’s continuing popularity among Delhi’s youngsters. But a defeat in DUSU elections would be detrimental to Kejriwal’s image. Political parties would use the occasion to suggest that Kejriwal has lost the trust of Dilliwaalas. Party insiders would echo the need for bringing back Bhushan and Yadav so as to salvage AAP and prevent it from degrading into a one-man party whose political fortunes are solely dependent on the image of a single person called Arvind Kejriwal. To avoid such embarrassment, Kejriwal is leaving no stone unturned to conquer DUSU. But what happened to the idealistic Kejriwal? Aren’t student elections meant to be fought by students and not chief ministers? Kejriwal probably thinks otherwise. That’s why he has put billboard advertisements outside the metro station at Delhi University, urging students to “say no to muscle power, say no to money power”. But the entry of a chief minister in a mere university election itself speaks volumes of the muscle power being utilised by the AAP and the CYSS. As far as money power is concerned, it doesn’t take Einstein to figure out how much 20-30 ft-long printed billboard advertisements cost. NSUI and ABVP have been habitual offenders of the poll code, but CYSS has lost an opportunity to portray itself differently. In fact it has taken DUSU elections to a new low.